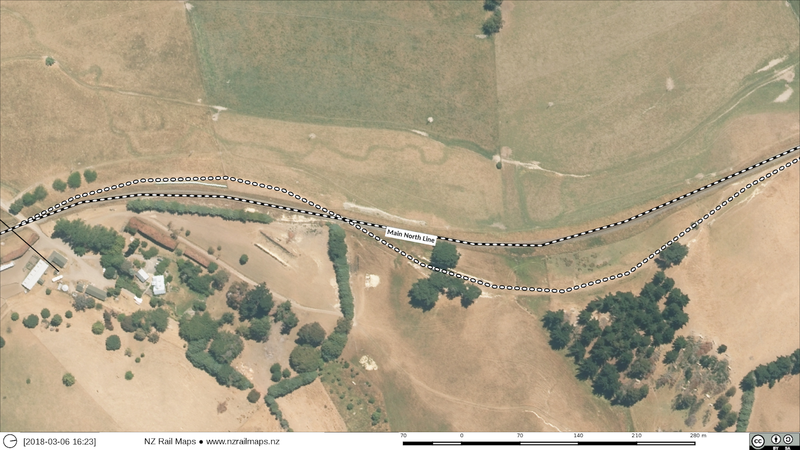 Nonoti is a weirdly named little station in North Canterbury between Tormore and Mina. 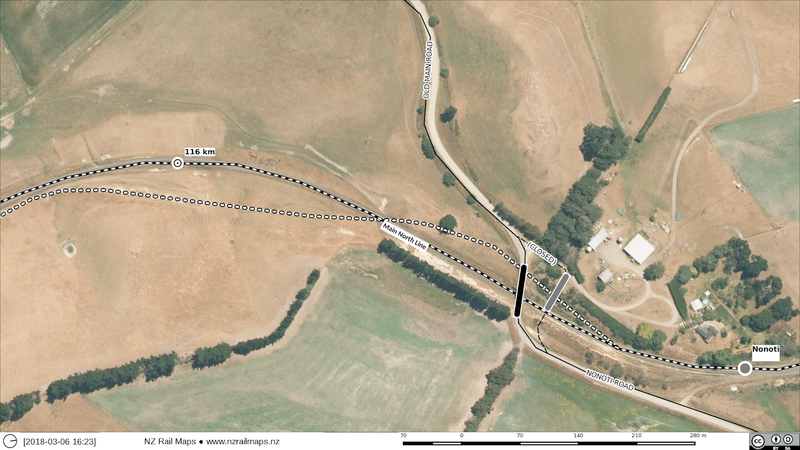 The exact distance is not recorded in the NZ Railway and Tramway Atlas, but it is between 116 and 117 km. The station closed in 1958. Around Nonoti a deviation was put in during the 1950s, apparently commissioned around 1961 (Don Spicer). 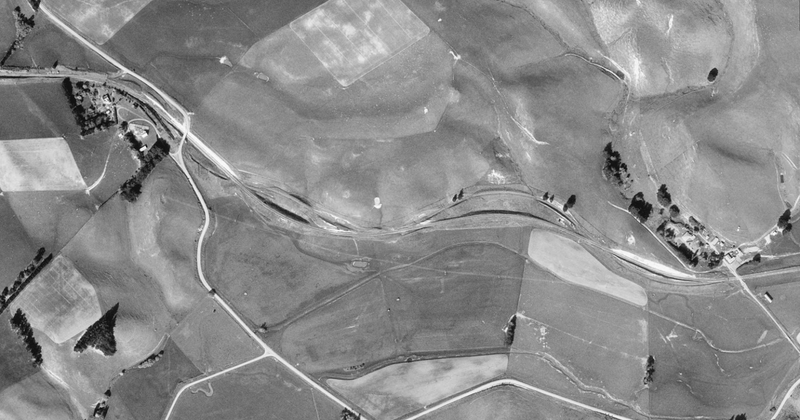 1955 Aerial photo showing the earthworks underway. 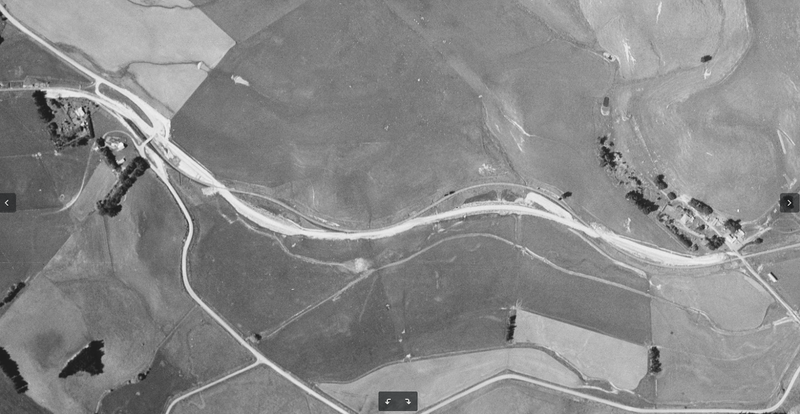 1965: the deviation is in use and, of note, the original overhead bridge at Nonoti was replaced with another one on a slightly easier alignment and because the rail route at this area also changed. Nonoti station still had some track in place despite having shut some seven years earlier. Although drivers (e.g. Don Spicer) say the new route is much easier to work, eliminating gradients and sharp curves, the new route still requires speed reduction to 65 km/h for the curves. It is interesting that more effort was not made to ease these.